The Tri-Cities area is a major hub of transportation in the Pacific Northwest. The area offers excellent highway linkages, service from two national mainline and one shortline railroad companies, commercial air service and barge service providing intermodal service. The Tri-Cities is served by Interstate Highway 82, which connects the Tri-Cities directly to the three nearby transcontinental Interstate Highways, I-84, I-90 and I-5.The Tri-Cities location provides accessible, alternate routes to I-5 corridor cities. This flexibility may become important if weather conditions or accidents block either Interstate option. The Tri-Cities offers mainline rail freight service by both Burlington Northern Santa Fe and Union Pacific Railroads. It is the only major metropolitan and major manufacturing area between the Cascade and Rocky Mountains offering this level of service by these two major national rail carriers. Shortline service is provided by Tri-City and Olympia Railroad Company. In addition to these rail carriers, the Tri-Cities offer a unique alternative for your rail needs – Railex. Railex Northwest is an innovative distribution platform designed to enhance logistics, distribution, consumer demands, and inventory control. The Railex platform features five refrigerated, mega-transload distribution centers – Northeast (Rotterdam, NY), California (Delano, CA), Northwest (Wallula, WA), Southeast (Jacksonville, FL), and Midwest (Chicago, IL). Railex Northwest (Wallula, WA) specializes in fine wines and fresh food and has two highly-specialized cold logistics infrastructures – one geared to wine; the other to perishable food – both with customized capabilities to meet diverse customer needs. The Columbia-Snake River System is one of the most modern inter-modal transportation networks in the world. This commercial waterway extends 465 miles from the Pacific Ocean into the North American continent. This system includes eight dam and lock complexes allowing the numerous barge lines serving the river system to transport commodities to and from locations throughout the world. Barge service is available through the Port of Pasco and the Port of Benton. The Tri-Cities Regional Airport is the third busiest airport in Washington State. 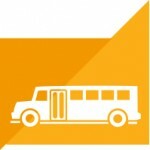 The facility is served by Delta Connection/Sky West, Alaska Airlines/Horizon Air, United Express/Sky West, and Allegiant Air. Flights to and from the major hubs of Seattle, Portland, Salt Lake City, San Francisco, and Minneapolis are available daily. 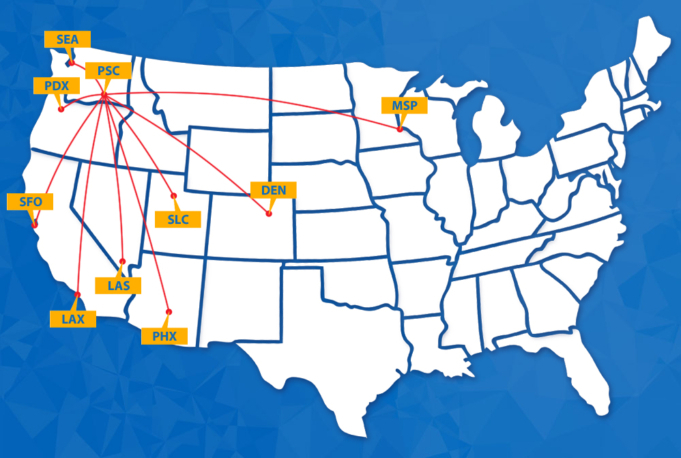 Through these connecting hubs, destinations across the nation and around the world are linked to the Tri-Cities.